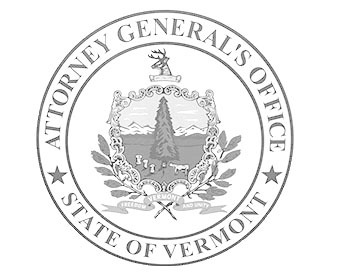 Attorney General T.J. Donovan has announced the launch of a permanent unit within his office known as the “Elder Protection Initiative.” This unit will focus on supporting and protecting Vermont’s aging population. The unit is the result of a listening tour that solicited ideas from stakeholders on how best to assist Vermont’s aging population. In the immediate, this unit will collaborate with Vermont 2-1-1 and Council on Aging for Southeastern Vermont on elder-related projects. The Elder Protection Initiative (EPI) brings together representatives from the Attorney General’s Criminal, Public Protection and Human Service Divisions, along with the Consumer Assistance Program, to collaborate with stakeholders. EPI’s collaborations will work to identify common vulnerabilities facing older Vermonters and address these systemic concerns, whether by enforcement efforts, public education, or advocating for legislation. General Donovan also announced EPI’s initial projects. EPI will work with Vermont 2-1-1 to enhance 2-1-1’s referral capacity regarding elder exploitation and abuse. EPI will also collaborate with the Council on Aging for Southeastern Vermont to explore building state capacity to address elder abuse. Vermont 2-1-1 is a program of the United Ways of Vermont. It maintains a statewide information and referral program and a searchable online database of thousands of programs, services, and resources available to Vermonters in their towns or regions, including transportation, food, and housing. “2-1-1 is a resource for all Vermonters, including older Vermonters, with questions on where to go for help,” said MaryEllen Mendl, Executive Director of Vermont 2-1-1. “We are happy to partner with the Attorney General to enhance our referral network specifically for calls related to elder abuse and exploitation and will continue to work together to maximize the usefulness of this referral network in the future,” she said. Through the EPI, the Attorney General’s Office is also collaborating with the Council on Aging for Southeastern Vermont (COASEV). Recently, COASEV received a grant from the United States Department of Justice to support the development of a “multidisciplinary team” (MDT) in Windham County to combat elder abuse. The MDT consists of local law enforcement, prosecutors, victim service organizations, and others. The DOJ will train MDT-members over a three-year period on how to collaboratively address elder abuse in their region. “We see potential for the county-based MDT approach to be an effective model for Vermont, in terms of addressing elder abuse,” said Carol Stamatakis, Executive Director of Senior Solutions. “We welcome the Attorney General’s new initiative and look forward to working together,” she said. As part of Senior Solutions’ grant, Donovan will send a prosecutor to a DOJ elder abuse prosecution training this August. Subsequently, the AGO and Senior Solutions will collaborate with other agencies and organizations to explore the potential relevance of the MDT approach statewide. The announcement of the Elder Protection Initiative comes on the heels of a recently concluded listening tour by the Attorney General. The tour spanned all of Vermont’s 14 counties and covered the issue of older Vermonters’ greatest needs, concerns, and vulnerabilities. During the listening tour, the Attorney General’s staff visited senior centers, senior meal sites, and senior housing units and met with approximately 230 representatives of 65 different organizations that serve older Vermonters, including the Area Agencies on Aging, SASH, Meals on Wheels, home health agencies, hospitals, the VT Alzheimer’s Association, the Vermont Center For Aging, AARP, and Legal Aid, among others. A summary of the AGO’s listening tour findings is available here. The Attorney General’s announcement was made on World Elder Abuse Awareness Day. To follow the work of the Elder Protection Initiative, visit its webpage: http://ago.vermont.gov/epi/. In the meantime, Vermonters with questions or aging-related concerns may dial 2-1-1 or visit http://www.navigateresources.net/211vermont/.